The luxury ski holiday village Veysonnaz lies in the Les Quatre Vallées ski resort in the Valais region with stunning ski chalets. 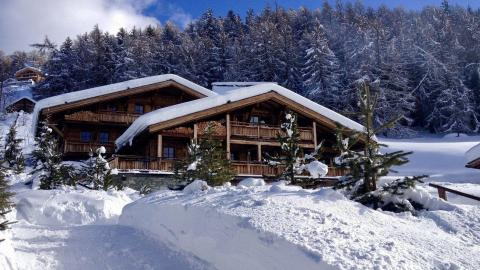 The small authentic ski resort Veysonnaz lies on a ridge overlooking the Rhône Valley. The bulk of the ski area is located on the east slope of the mountain and is thus sure of snow. For advanced skiers there is the possibility to go to the Mont Fort (3,330 m). Veysonnaz-Printze, in Switzerland, is a large resort with 10 lifts (2 cable cars, 8 téléskis) that offers skiers an incredible 2030 metres (6660 feet) of vertical descent. Veysonnaz-Printze has 10 pistes and is best suited to intermediate skiers and snowboarders. 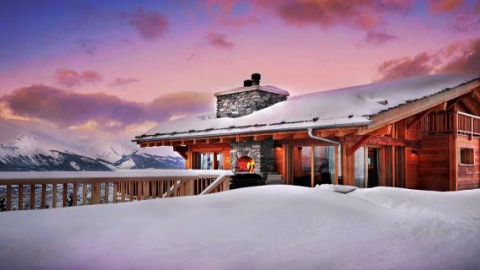 Hidden Dragon is one of our luxury ski chalets in this area.